Katsumata helped on car for Europe. Toyota Motor Europe has named Masato Katsumata its senior vice president of research and development. He succeeds Kazuhiko Miyadera starting February 1. Miyadera moves back to Japan to take over a new position within supplier Toyota Boshoku. Toyota owns 39.5 percent of Boshoku. Katsumata arrives from Japan with expertise in developing vehicles for Europe. In 2005, he was named chief engineer for the redesign of a Toyota vehicle that will be revealed at the Geneva auto show next month. Katsumata joined Toyota Motor in 1987 after graduating with a degree in hydrodynamics from Tokyo University. He started his career as a chassis engineer before making the shift to product planning in 1993 and product management in 2000. 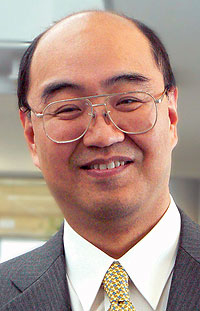 In 2003, he returned to the planning division where he managed mid-term r&d strategy.